Rare earth miner Molycorp (NYSE: MCP) rocketed 32% on Friday after first quarter results provided a pleasant surprised to the Colorado company's investors. Molycorp is a speculators' favourite and the closely watched stock regularly features among the most active on the New York stock exchange. By lunchtime more than 35 million shares (out of a free float of just over 160 million) had already changed hands with the counter hitting a day high of $7.44 a share from yesterday's regular hours close of $5.59. The $1bn stock is nothing if not volatile: MCP peaked at a whopping $75 in April 2011 and touched a record low of $4.70 in the same month this year, after a spectacular opening week of 2013 quickly turned ugly. 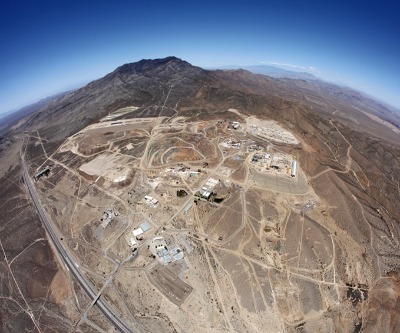 Molycorp has been plagued by controversy over the past couple of years as it restarts its Mountain Pass mine in California during what it has dubbed Project Phoenix. Once the largest supplier of rare earths anywhere in the world, the facility was mothballed in 2002. Investors trying to get a handle on the performance of the company has had to deal with unexpected delays in filing results, huge acquisition writedowns, an SEC investigation over public disclosure and a sudden CEO departure. Molycorp's latest comeback started yesterday when the company reported revenues of $146.4 million, 9% more than in the previous quarter. The loss of $20.3 million, or 15 cents per share, excluding accounting writedowns, was also much better than expected. The miner – set to become the number one producer of rare earths outside of China – sits on a cash pile of $405 million to ramp up production for its ultimate target of 40,000 tonnes per annum. Molycorp said it expects the second half of this year to be better when sales pick up as demand for REEs, used in a variety of high-tech and green energy industries, improve.